It is said that at Appomattox, when Robert E. Lee was asked to name the greatest soldier under his command, he replied, "A man I have never seen, sir. His name is Forrest." To be sure, Nathan Bedford Forrest was one of the most interesting figures on either side of the American Civil War. He enlisted as a Private in 1861 and ended the war as a Lieutenant General. 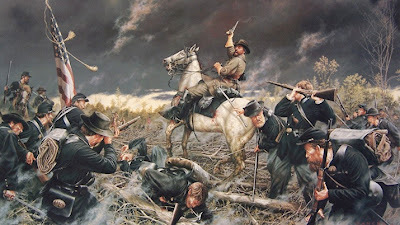 During the conflict, Forrest had a total of 30 horses shot out from under him and was frequently seen in the thick of fighting, battling man-to-man with his saber. Those who have added up contemporary accounts of Forrest in action, have credited him with no less than 33 Yankees killed by his own hands in combat. One popular misquote attributed to Forrest has him summing up his military strategy as "git thar fustest with the mostest." While Forrest may not have said this, much of his calvary work amounted to quick maneuver, surprise, and constant harassment of the enemy. At least on one occasion however, he was able to pull off a victory by arriving later and with numbers inferior to the task. 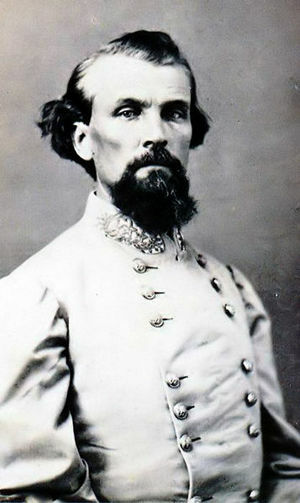 In September of 1864, nearly all the Confederate armed forces were staging tactical retreats, but not Nathan Bedford Forrest. He was leading his forces north from Alabama towards Nashville, Tennessee. 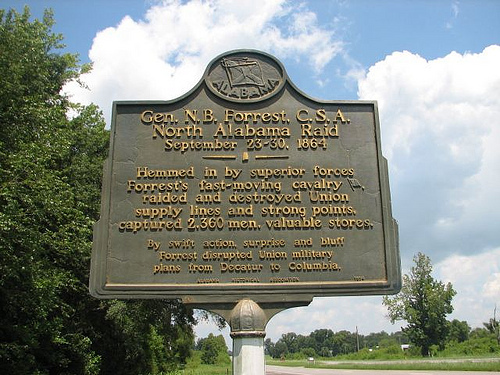 Standing between him and Nashville was the fortified Union stronghold at Athens, Alabama. Although the position contained only 600 men, they were well stocked with food and weapons and their batteries were completely protected. Forrest arrived and surrounded the garrison on September 23 and demanded its surrender. His request was promptly denied and Forrest knew he had to act quickly. A relief column of 700 Yankees was marching south and would be there within hours. After an initial attack revealed the fort was too heavily defended to be taken with haste, Forrest called for a parley with the Federal commander, Colonel Wallace Campbell. When the two met, Forrest told him that resistance was hopeless and offered to allow the Colonel to inspect the Confederate forces. The two then made a loop around the fort, allowing the Union officer to count Forrest's men and artillery. 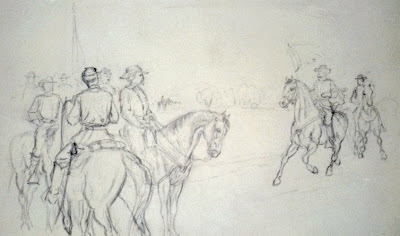 Unbeknownst to Campbell, Forrest had prearranged for his men and their artillery to reposition themselves to another place around the fort as soon as the two had ridden past. By the time Campbell had finished, he had counted an estimated 8,000 to 10,000 Rebel soldiers with ample artillery to demolish his position. Campbell thanked Forrest for his humanitarian gesture, returned to his men and said, "The jig is up; pull down the flag." 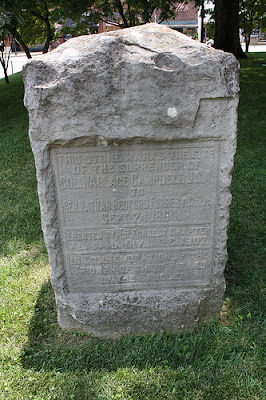 The relief column which had been battling courageously towards Campbell's men, arrived just in time to witness the surrender, and despairing of hope, they too gave up. This second surrender brought Forrest's one-day total to slightly more than 1,300 prisoners taken, not including horses and weapons. What Campbell did not know at the time was that Forrest had only 4,500 men under his command, approximately 2,000 of which had been present at the fort (the remainder being sent to do battle with the relief column). Campbell had counted each of Forrest's men and their cannon several several times during his tour, greatly exaggerating their numbers. By the time the campaign was over, Forrest's band of 4,500 had killed about 1,000 Yanks and had captured 2,360 men, while losing only 47 killed and 293 wounded. 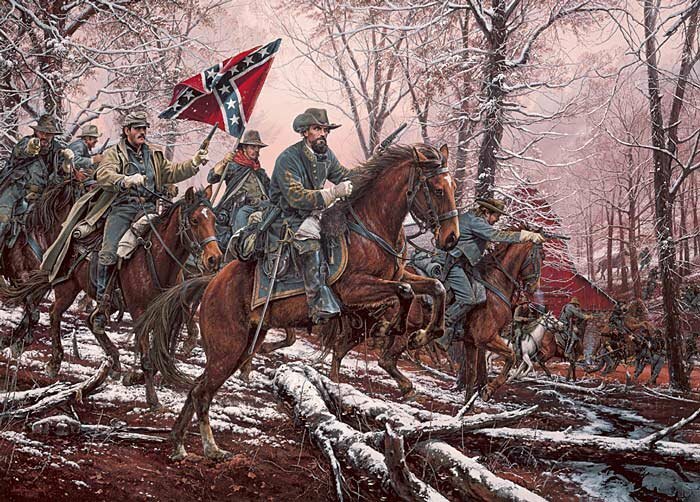 Unfortunately for the South, Forrest's victories came too late to disrupt the Union advance. Atlanta had fallen a couple months earlier and Sherman was well on his way towards resupply at Savannah. That is an amazing story, in the best style of the venerable "The Art of War". Thanks for sharing, and for the great blog overall. I always learn so much from your lessons. Thanks, Nate.